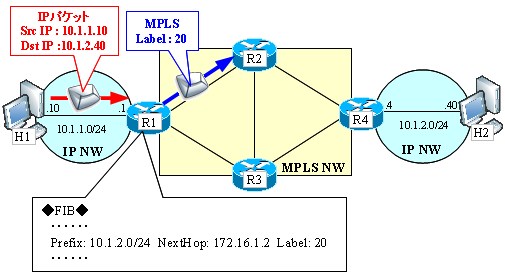 In border router between MPLS NW and IP NW, it is necessary to attach the label when forwarding packets to the MPLS NW. Ingress LSR implement this. Ingress LSR attach a label looking up the FIB table, and forwards the packet. FIB table in addition to the normal routing information, has listed the label information to be attached.Label information has been pulled from the pre-LIB table. 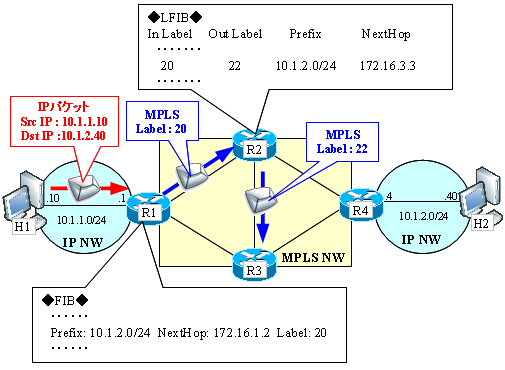 For example, when R1 receives a packet addressed to H2 from H1, R1 is attached a label with reference Ingress LSR becomes a FIB, and sends the packet to the NextHop. If NextHop of 10.1.2.0/24 is 172.16.1.2 (R2), based on the contents of the table below of the LIB, FIB is created as shown in the figure below, and send with the label 20 to R2. In LSR, if there is no label packet has arrived, but you look at the FIB, if a packet with a label has arrived to see the LFIB table. The LFIB table list covers label switching information that is created on the basis of the LIB table.  For example, in the previous figure, consider the case NextHop destined for 10.1.2.0/24 in R2 was 172.16.3.3 (R3).